Caoilfhionn Dunne as Ruth in Ciaran Creagh's In View. 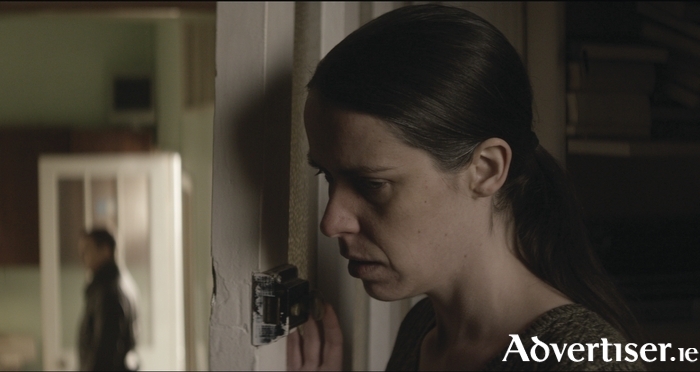 "A POWERFUL character-study of a lost, broken soul trying to stay afloat in the modern world" and "boasting a stunning lead performance from Caoilfhionn Dunne as Ruth". This is the view of Galway Film Fleadh programmer Gar O'Brien on In View, the Irish feature film which will receive its Irish premiere at the Galway Film Fleadh on Thursday July 7 at 8pm in the Town Hall Theatre. Directed by Ciaran Creagh, In View centres on Ruth, an alcoat was dear to her, she is still trying to seek out help but is coming to realise there may be only one course of action to take. The film deals with a number of difficult issues, including that of suicide. As Gar O’Brien has said, “In View tackles her descent into alcoholism and depression, issues which are rooted deep in Irish society, with a refreshing and haunting clarity resulting in a film as deeply moving as it is narratively compelling."